Pecan bacterial leaf scorch is common throughout the pecan-producing areas of the southeastern United States. In 2015, this disease was also found in the western pecan-producing states of Arizona, California, and New Mexico (Goldberg 2015). Pecan bacterial leaf scorch causes defoliation, reduces tree growth (particularly when trees are infected at an early age), and reduces kernel weight. While these factors make this disease unsightly for a homeowner with a few pecan trees, they can have a significant economic impact for a commercial pecan producer. There are no economically effective treatments to eliminate the pathogen from an infected tree. Although pecan bacterial leaf scorch does not kill pecan trees, yield and economic losses can occur. Pecan bacterial leaf scorch has been identified in over 30 cultivars as well as in native and seedling trees. Susceptibility varies across cultivar, and in mixed plantings, disease tends to occur in and spread to the most susceptible cultivars first. While pecan bacterial leaf scorch tends to occur less often in some cultivars than others, no resistant cultivars have been identified. Table 1 shows a list of cultivars in which this disease has been identified in naturally infected orchard trees or in test trees resulting from mechanical (needle) inoculation with the pathogen. Additionally, seedlings of the pecan cultivars or selections Apache, Curtis, Elliot, Moore, Riverside, Stuart, and VC1-68 that are used as rootstocks were also able to be infected with the pathogen and develop disease following mechanical (needle) inoculation (Sanderlin 2015). Table 1. Pecan cultivars in which pecan bacterial leaf scorch has been confirmed. *Cultivars are highly susceptible to pecan bacterial leaf scorch. 1Pecan bacterial leaf scorch identified in orchard trees; disease occurred as a result of natural infection. 2Pecan bacterial leaf scorch identified in test trees; disease occurred as a result of mechanical (needle) inoculation with the pathogen (Sanderlin 2005). 3Pecan bacterial leaf scorch identified in seedlings of these cultivars; disease occurred as a result of mechanical (needle) inoculation with the pathogen (Sanderlin 2005). 4Trees of these cultivars in Arizona or New Mexico tested positive for the pecan bacterial leaf scorch pathogen (Goldberg 2015). Symptoms of pecan bacterial leaf scorch typically appear from late spring into fall and typically increase in intensity during the summer. The leaflets turn tan to brown at the tips with discoloration and tissue desiccation that progress toward the base of the leaflet (Figure 1A). One or more leaflets on a compound leaf may exhibit these symptoms, and, sometimes, leaflets on only one side of the rachis (leaf stem) may exhibit these symptoms. In time, symptomatic leaflets will fall (abscise) from the rachis, leaving a bare rachis attached to the branch (Figure 1B). Eventually, the empty rachis will also abscise from the tree. Figure 1. A) Symptoms of pecan bacterial leaf scorch. A) Tan to brown leaflet discoloration and tissue desiccation begins at the tips of the leaflets and progresses toward their bases. Figure 1. B) Bare rachises remain attached to the tree for a period of time after symptomatic leaflets abscise. Photos (modified): R. A. Melanson and R. S. Sanderlin (2015). Symptoms of new infections in mature trees often appear near the tops of trees in new growth. Depending on the extent of the infection, symptoms may be observed on only one or a few limbs of a tree or throughout the entire tree (Figure 2). Symptoms are typically expressed every year in an infected tree. Figure 2. A) Pecan bacterial leaf scorch in a mature tree. Symptoms are present on only one limb of the tree. 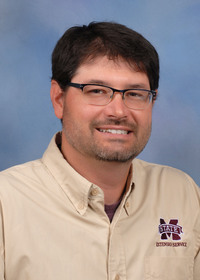 Photo: R. A. Melanson, MSU Extension, bugwood.org. Figure 2 B) Pecan bacterial leaf scorch in a young, grafted tree in which infection occurred as a result of grafting with an infected scion. 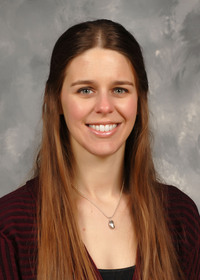 Photo: R. A. Melanson, MSU Extension, bugwood.org. Pecan scorch mites, other diseases, some nutritional disorders, and drought conditions can also cause scorch symptoms that may be mistaken for pecan bacterial leaf scorch. Careful examination of pecan leaves with a magnifying lens can reveal the presence of scorch mites. Drought is more difficult to confirm as a diagnosis. Many university diagnostic labs have the tools necessary to test pecan tissue to confirm a pecan bacterial leaf scorch diagnosis. Samples sent for diagnosis should consist of 10–15 compound leaves showing symptoms of scorch. This service is free in some states; in other states, there may be a small fee per sample. Contact your local county Extension agent or your university diagnostic lab for more information. Pecan bacterial leaf scorch is caused by a strain(s) of the bacterium Xylella fastidiosa subsp. multiplex. At the species level, X. fastidiosa is capable of infecting over 100 different hosts, including many hardwood trees and many economically important crops, such as almonds, blueberries, citrus, coffee, grapes, peaches, and plums. Researchers have identified numerous strains (distinct forms of an organism) and have described several subspecies within X. fastidiosa; these strains and subspecies are based on genetic and host range differences. In recent studies, strains of X. fastidiosa from grapevines and sycamores in Louisiana did not infect pecans. Furthermore, strains of X. fastidiosa from pecans in Louisiana did not readily infect other hosts known to be infected by different strains or subspecies of this pathogen. Unlike some other pathogens that attack tissue from the outside and require new infections each year, X. fastidiosa resides on the inside of the tree in the water-conducting tissue (xylem). The bacteria persist in the xylem and, over time, multiply and move through the xylem, eventually spreading throughout the tree. As the bacteria multiply in the xylem, they clog the xylem cells and prevent the regular transport of water and nutrients through those cells, leading to symptom development. Two means of pathogen transmission have been demonstrated in pecans. Graft-transmission of X. fastidiosa through the use of infected scions (Figure 2B) is likely a major source of pathogen introduction into new orchards because pecan cultivars are clonally propagated. The pathogen can also be graft-transmitted through infected rootstocks. The pathogen also can be transmitted in pecans by certain xylem-feeding insects (leafhoppers and spittlebugs). Thus far, two spittlebugs, the pecan spittlebug and the diamond-backed spittlebug, and three leafhoppers, the Johnsongrass sharpshooter, the lateral-lined sharpshooter, and the glassy-winged sharpshooter, have been shown to transmit X. fastidiosa in pecans (Figure 3) (Sanderlin and Melanson 2010). However, there are likely other xylem-feeding insects that can transmit the pathogen in pecans. The known primary vectors in pecan orchards are believed to be adult pecan spittlebugs and glassy-winged sharpshooters. Some of these insects, like the glassy-winged sharpshooter, feed on multiple hosts and are known transmitters of X. fastidiosa in other hosts, while others, such as the pecan spittlebug, feed solely on pecans and hickories. During a recent survey of known and potential vectors of X. fastidiosa in pecan orchards in Louisiana, these and other potential vectors were trapped and occurred in the highest numbers from May through August. In previous research, pruning did not result in transmission of the pathogen in pecans. Figure 3. Known insect vectors (adults) of Xylella fastidiosa in pecans: A) pecan spittlebug, B) lateral-lined sharpshooter, C) Johnsongrass sharpshooter, D) diamond-backed spittlebug, and E) glassy-winged sharpshooter. Photos (modified): R. A. Melanson and R. S. Sanderlin (2015). Because there is no way to cure an infected pecan tree, pecan bacterial leaf scorch management focuses on preventing pathogen introduction and spread into noninfected trees and orchards. While the following practices do not ensure prevention of infection, they may help reduce the incidence of pecan bacterial leaf scorch and delay the introduction of the pathogen and disease development in an orchard. Purchase and plant noninfected (asymptomatic) trees. If possible, trees should be visually inspected for symptoms of pecan bacterial leaf scorch and should not be purchased if symptoms of the disease are present. Purchased trees with symptoms of pecan bacterial leaf scorch should be destroyed. The visual examination of trees for symptoms of pecan bacterial leaf scorch is best done the summer before trees are purchased. Graft only onto noninfected (asymptomatic) rootstock. Trees to be used for rootstocks should be visually inspected for symptoms of pecan bacterial leaf scorch the growing season before grafting. Rootstock trees with symptoms should not be used for grafting and should be destroyed. Collect and use scions only from noninfected (asymptomatic) trees. Trees from which scion wood is collected should be visually inspected for symptoms of pecan bacterial leaf scorch the growing season before scion wood collection. Scion wood should not be collected from trees with symptoms of the disease. Treat scions using a hot-water treatment method. Scions are often purchased or shared among growers or hobbyists. It is not always possible to determine if these scions were collected from noninfected (asymptomatic) trees. In addition, because symptom expression following infection may be delayed or because symptomatic leaves may abscise from trees before the trees are surveyed for symptoms, it is possible to unknowingly collect infected scion wood. In these instances, scions prepared and stored using standard methods can be subjected to the hot-water treatment described below just before grafting. Research showed that this treatment was 97 percent effective at reducing the transmission of the pecan bacterial leaf scorch pathogen through grafting with infected scions and did not affect the grafting success rate (Sanderlin and Melanson 2008). Remove scions from storage and bundle several scions together using rubber bands or string. Groups of five scions work well, but the number of scions per bundle will depend on the size of the water-holding container being used. Add a weight, such as a metal bar, to the bundle of scions. The weight should be heavy enough to keep the bundle of scions completely submerged. Fill a container that is large enough to maintain a stable water temperature with water, and heat water to 115ºF. Some fluctuation above this temperature is possible, but visible damage to scions can be observed when higher temperatures are used. Damage to scions did not occur when water remained between 115ºF and 125ºF for 30 minutes. Damage to scions did occur, however, when water remained at 125ºF throughout the 30-minute period. Submerge the bundle of scions in the 115ºF water for 30 minutes. The temperature of the water should be monitored with a thermometer and adjusted so that the temperature of the water stays at or slightly above 115ºF for the entire 30-minute period. Remove the bundle of scions from the hot water and immediately submerge it in room-temperature water for 1–2 minutes. This will help to dissipate the heat and avoid damage to the scions. Graft rootstocks with treated scions. When testing the hot-water treatment procedure, scions were treated and grafted onto rootstocks the same day. The practice of returning hot-water treated scions to refrigerated storage before grafting has not been tested. Prune infected (symptomatic) branches from trees or remove trees from orchards. Because it is not possible to accurately track bacterial movement within the xylem of a tree and because symptom expression may be delayed following infection, there is no way to know with certainty how far the pathogen has spread within a tree. It may be possible to eliminate a current infection from a tree or to eliminate the pathogen from an orchard by pruning an infected branch or limb or by removing a tree from an orchard. However, pruning and tree removal do not guarantee the absence of future infections in an orchard. The practice of pruning branches or limbs may be beneficial only if new or limited infections are observed in trees or orchards. This practice may also only be practical if symptoms of pecan bacterial leaf scorch are observed toward the extremities of the trees and not near the trunks. If a new or limited infection is observed near the extremity of a tree, the branch or limb to which the symptomatic leaves are attached should be properly pruned to the branch collar or tree trunk. Pruning cuts should be made as soon as possible after symptoms are observed and several feet behind the observed symptoms. In young trees with recent symptoms of pecan bacterial leaf scorch, the closer a pruning cut is made to the trunk of the tree, the better the chances of eliminating the pathogen from the tree and preventing it from spreading throughout the tree. The practice of removing a tree from an orchard may be wise in a newly planted orchard (first 3 years) only if a few trees become infected and additional sources of pecan bacterial leaf scorch are not nearby. If numerous trees develop pecan bacterial leaf scorch, it may not be beneficial to remove these trees. In established orchards, it is likely not economically feasible to remove a bearing tree that becomes infected. Tree removal does not guarantee the absence of future infections in an orchard. Monitor for the presence of vectors and manage populations of vectors. While research has not been conducted in this area in pecans, it may be possible to reduce the chance of pathogen spread by reducing vector populations. Vectors of X. fastidiosa can be detected using yellow sticky traps (Figure 4). These traps may be purchased from various retailers. Insecticide applications to reduce leafhopper and spittlebug populations can then be made when vector populations begin to increase. Figure 4. An example of a yellow panel sticky trap that can be used to capture and monitor the presence of insect vectors in pecan orchards. 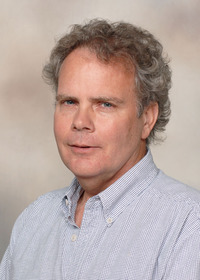 Photo: R. S. Sanderlin, LSU AgCenter. Additionally, while other plants are likely not a source of the pathogen for pecan infection, some plants, such as citrus, crape myrtles, grapes, and peaches, attract the glassy-winged sharpshooter. These plants should be avoided in the vicinity of pecan orchards to avoid attracting vectors. If these plants are located near pecan orchards, it may be possible to manage vectors on these plants by monitoring vectors with yellow sticky traps and applying insecticides when vector populations begin to increase. Sanderlin, R. S. 2015. Susceptibility of some common pecan rootstocks to infection by Xylella fastidiosa. HortScience 50(8):1183–1186. Sherman, J. 2015. Pecan bacterial leaf scorch identified in Arizona; survey launched. Pecan South 48(8):50–52. Melanson, R. A., Sanderlin, R. S., McTaggart, A. R., and Ham, J. H. 2012. A systematic study reveals that Xylella fastidiosa strains from pecan are part of X. fastidiosa subsp. multiplex. Plant Disease 96(8):1123–1134. Li, B., Sanderlin, R. S., Melanson, R. A., and Yu, Q. 2011. Spatial analysis of a plant disease in a non-uniform crop: A Monte Carlo approach. Journal of Applied Statistics 38(1):175–182. Sanderlin, R. S. and Melanson, R. A. 2010. Insect transmission of Xylella fastidiosa to pecan. Plant Disease 94(4):465–470. Sanderlin, R. S., Li, B., Melanson, R. A., and Gil, S. 2009. Spread of Xylella fastidiosa in a pecan orchard and presence of potential vectors in orchards. Phytopathology 99:S114. Sanderlin, R. S. and Melanson, R. A. 2008. Reduction of Xylella fastidiosa transmission through pecan scion wood by hot-water treatment. Plant Disease 92(7):1124–1126. Sanderlin, R. S. and Melanson, R. A. 2006. Transmission of Xylella fastidiosa through pecan rootstock. HortScience 41(6):1455–1456. Sanderlin, R. S. 2005. Cultivar and seedling susceptibility to pecan bacterial leaf scorch caused by Xylella fastidiosa and graft transmission of the pathogen. Plant Disease 89(5):446–449. Sanderlin, R. S. and Heyderich-Alger, K. I. 2003. Effects of pecan bacterial leaf scorch on growth and yield components of cultivar Cape Fear. Plant Disease 87(3):259–262. Sanderlin, R. S. and Heyderich-Alger, K. I. 2000. Evidence that Xylella fastidiosa can cause leaf scorch disease of pecan. Plant Disease 84(12):1282–1286. Sanderlin, R. S. 1998. Evidence that Xylella fastidiosa is associated with pecan fungal leaf scorch. Plant Disease 82(2):264. Reviewed by Clarissa Balbalian, Diagnostic Laboratory Manager, MSU Extension; Dr. Eric Stafne, Fruit Crops Specialist, MSU Extension; Kyle Lewis, Hinds County ANR Extension Agent, MSU Extension; and Stephen Norman, President, Louisiana Pecan Growers Association. By Dr. Rebecca A. Melanson, Assistant Extension Professor, Plant Pathology, Mississippi State University Central Mississippi Research & Extension Center, and Dr. R. S. Sanderlin, Professor, Plant Pathology, LSU AgCenter Pecan Research and Extension Station.